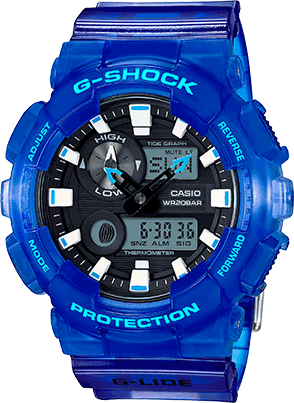 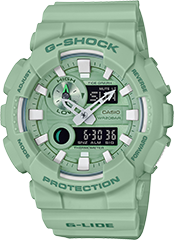 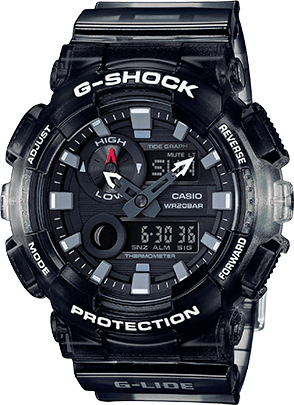 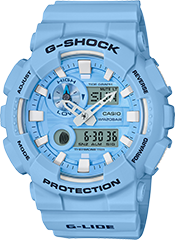 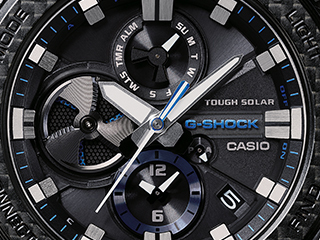 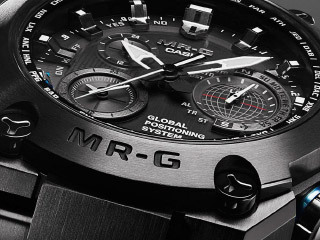 New to the G-SHOCK G-LIDE lineup of surf watches is the big case GAX100 with an analog Tide Graph, which provides tide information in an intuitive format. 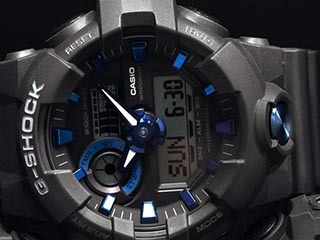 The dust colors of these models are similar to those of today's wet suits, surfboards, and other water sports gear. 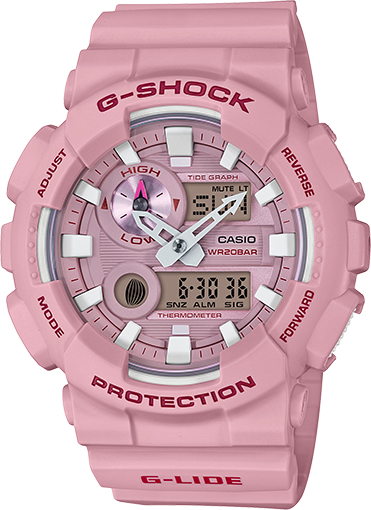 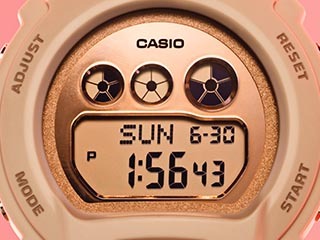 The GAX100CSA-4A comes in pink colorway with a subdued finish. 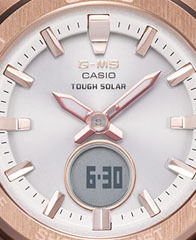 Hour markers and the hands are highlighted with white, which enhances both reading and the overall summertime motif of these models. 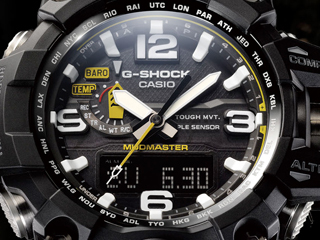 An analog Tide Graph between 10 and 11 o'clock helps to allow the wearer to surf smarter. 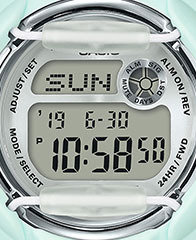 Moon Data and temperature measurement also provide information to support your rides.